Dealing with dental pain can be extremely frustrating, especially if you don't know what is causing it. However, when an oral health problem pops up, it is important to try and identify your pain so that you and your dentist can discuss treatment options. Use these tips to try and better identify what is going on in your mouth. Dental pain within the jaw and in the mouth could be caused by a few different issues that can range in severity. 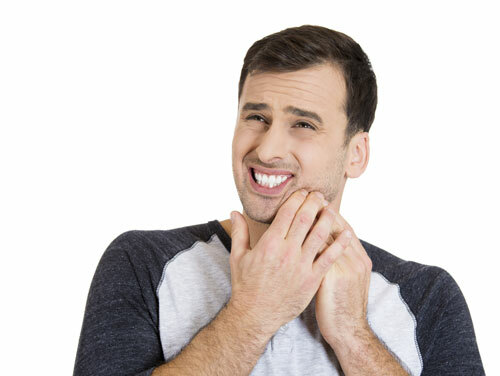 Malocclusion, or an uneven bite, is a problem that can be corrected with orthodontic work, and an issue like TMJ disorders can be corrected with a custom-fitted night guard. Arguably the most serious of the conditions is mouth cancer. Tooth pain is one of the most common causes of pain in the mouth, and there are several factors that can cause this problem. Decay is arguably one of the top issues, as about 97% of the population has suffered from at least one cavity throughout their lifetime. An infection might be a sneakier tooth problem that causes pain, while damage like a break or chip could be a more obvious problem. Gum pain is most commonly caused by gum disease. There are two forms - gingivitis and periodontitis. Gingivitis is the first stage of gum disease, and if you take steps to correct it with more frequent dental cleanings and better oral hygiene, you can reverse it. Periodontitis can result if gingivitis is not treated when pockets can form and collect bacteria and debris. Once the problem gets to this stage it will no longer be reversible, but your dentist can help you to manage it. If you experience any of these types of dental pain, be sure to contact our office today.